After Hours, volume five of Helter Skelter Magazine&apos;s New Writing anthology features 16 pieces of original short fiction and poetry handpicked by Anjum Hasan (author of Difficult Pleasures, Lunatic in My Head, and The Cosmopolitans) and Samhita Arni (author of Sita&apos;s Ramayana and The Missing Queen). Each piece of writing is accompanied by artwork inspired by and created exclusively for it. The book includes a foreword by Anjum Hasan, and a concrete poem by Won-Tolla Comics. 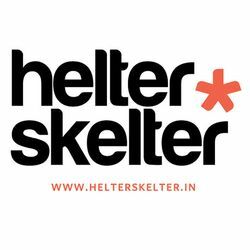 The Helter Skelter Anthology of New Writing: Volume Five is currently only available within India. The price mentioned on this page is inclusive of the shipping cost. Click here to know more about the book, the contributors, and the stories and poems that make up the anthology.